We have always been big fans of the uber-sweet shoe site Sole Society but this week they have given us reason to fall in love with them even more! The wonderful folks over at Sole Society are helping us kick off a fabulous autumn season with a super giveaway for three very lucky readers. Three winners will be chosen at random to receive their pick of a pair of shoes and a super cute accessory to sport all season! Visit the Sole Society site, pick out your fav pair (we are smitten with these babies) and then return here to leave a comment telling us what you would pick if you won. The giveaway will close on Friday, October 11, 2013 at midnight EST and the three winners will be announced on Saturday, October 12, 2013. How easy peasy is that! Love the yellow! Such a great color! I would totally pick the Carolyn Riding Boot in Amaretto. I've been in the market for a brown boot and a riding boot NEVER goes out of style. Great giveaway - hope I win!! But I also love the yellow flats in your post!!! I would choose the orange flat, Angelina! Directly from the top of my prioritized list of must-haves: I would choose the black Sonita pumps (quickly followed by the adobe, and then the red). They would be the perfect go to shoe for the fall and winter seasons. Love the Cambria flat shoe in the Plaid so so love love. I love the Deana, Honey Mustard flats. Too cute! I would get the Carolyn riding boot in black burgundy. I'd take them all :-) The Addy flats are just perfect! I love love love the ADDISON ankle bootie! i dont know if i like BURGUNDY or BLACK better! I'd faint if i win these fabulous shoes! I love the Paisley bow flat in grass green marine! Ahhh... How to choose just 1 style?! I love the Skylar Ankle Booties in Army Green/Fudge (*gasp* almost sold out)! Thanks for the giveaway opportunity ~ toes crossed! The Frieda oxfords would be a great addition to my fall wardrobe. Of course the wool Fedora would be perfect with them. Thanks for the opportunity!! Want and need the black Carolyn Riding Boot! LOVE the yellow flats. Totally brighten up the outfit! Tanya would be my pick.Orange suede yum!! Fun website. Great shoes. I adore Cambria in Whiskey. Plus, I need a new pair of shoes. Just this weekend, my husband was away. His cat got mad and retaliated by peeing on a pair of shoes...my shoes! Grrr. 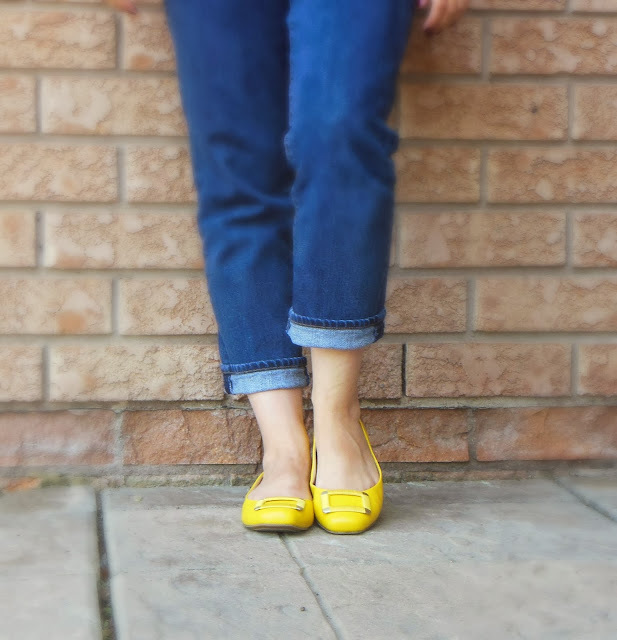 The Angelina's are great...but so are the yellow flats, too. Thank you! What a generous giveaway! Although I love the yellow ballerina's, I am smitten with the Helena bootie in Crystal Blue. Thanks for hosting this giveaway! I would pick the JILLIANNE in tan! So hard to choose but I have been obsessing over the Red Sonita Pumps for a while now.